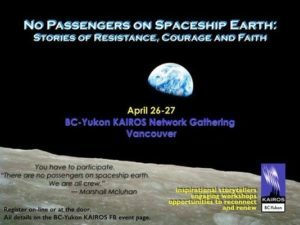 BC-Yukon KAIROS network is hosting a gathering in Vancouver – April 26th and 27th, 2019. You’re invited to come join with other activists motivated by their commitment to walking the justice path with compassion and courage. We have a great line up of speakers and workshops for Friday, April 26th evening and all-day Saturday, April 27th. Then, after a busy day of networking, join us at 5pm for worship under the trees at St. Anselm’s, led by the Salal and Cedar Watershed Discipleship Community. What are the stories of resistance we want to tell our children? What are the stories of courage we will share to keep us strong for the struggle? 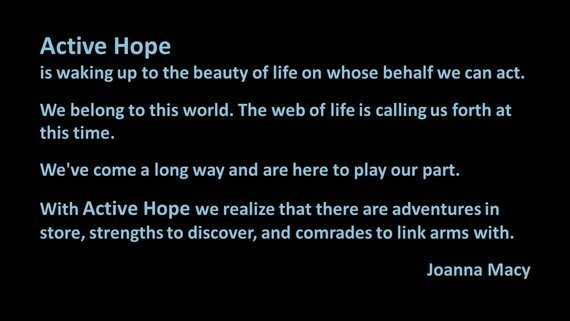 What are the stories of faith we will use to inspire and move us forward? Friday evening begins with our very own TEDk Vancouver Talks, as in “k” for KAIROS. Then on Saturday, you’ll be able to attend 3 different workshops designed to inform, sustain and inspire you during these challenging times. Billets are available and some limited travel subsidies. Please share this email with anyone you feel might be interested- we want to draw the circle wide! If you have any questions, email bcyukongathering@gmail.com. Ps. If you can only join us for part of the Gathering, that’s fine too. Life is complicated. Come when you can and stay as long as you are able. We will take registrations at the door, but we can’t guarantee your lunch. Email this invite to your friends and family!